Learn to be creative with delicious holiday vegan recipes. 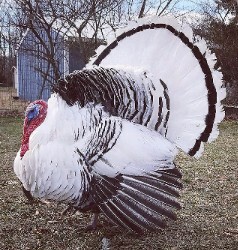 Hear stories about Zeus, a rescued turkey and permanent resident at Oasis Animal Sanctuary, and discover some fun and interesting facts about turkeys. and Dawn Lucas, owner of Gentle Giant Café.